Our reputation has been built on quality, service and FRESHNESS. Not only do we guarantee our fish is delivered to you as fresh as we can possibly supply but we also source our products, whenever possible, from sustainably caught fish. We are proud to be associated with the SW Handline Fishermen's Association. Members of the association work their lines, of about 30 hooks, from dawn to dusk, returning home with the freshest fish available. 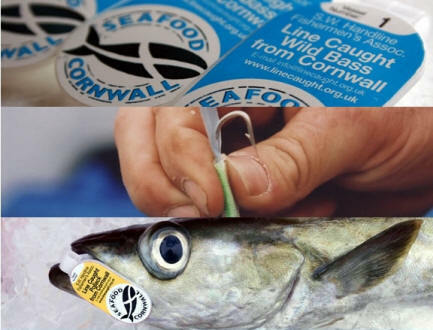 This method is widely recognised as being a sustainable means of fishing, bringing in mainly, Bass, Pollock and Mackerel. Hover over the small pictures to find out a little more about the fishermen, whose numbered tags identify who caught your fish.